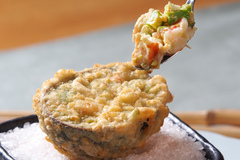 Chef Kimijima style deep fried avocado & prawn. 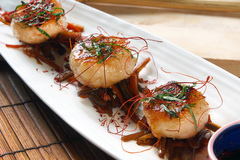 Pan fried fish cake & prawn w/ shoyu sour soya sauce. 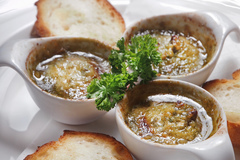 Oven baked France escargot w/ chef's special garlic sauce & Japanese seaweed herbs. 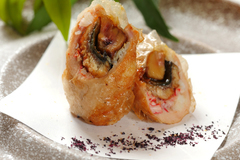 Deep fried high grade snow crab meat w/ foie gras, river eel & prawn wrapped w/ rice paper. 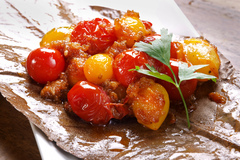 Cherry tomato sauteed w/ garlic miso paste. © 2019 Ozeki Tokyo Cuisine. All Rights Reserved.